It seems that when it comes to gun emojis, Microsoft didn’t want to be left out. Soon after it was revealed that Google is set to become the latest firm to swap its pistol emoji for a water gun, the Redmond firm announced the same change is coming to Windows 10. Google updated its Noto Color Emoji repository with a new gun design yesterday. While its icon has changed several times over the years, it’s always looked like an actual weapon—albeit a very old one in 2013. 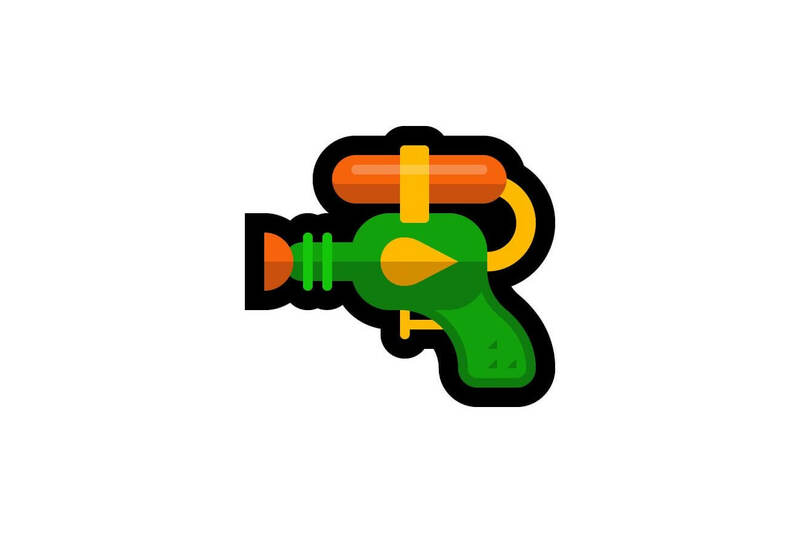 In Android P, however, the emoji will resemble a super soaker water pistol, complete with water reservoir. The change left Facebook and Microsoft as the only two major companies still using a realistic-looking gun emoji. And although the social network had confirmed it was replacing its design with that of a water pistol, Microsoft had declined to comment. But it didn’t take the Redmond firm long to get with the program. In a tweet posted yesterday, Microsoft wrote: “We are in the process of evolving our emojis to reflect our values and the feedback we’ve received.” It included a preview of the new handgun icon, which now looks like a smaller version of Google's super soaker emoji. Somewhat ironically, Microsoft had started out with a toy ray gun emoji before switching to a realistic-looking weapon in 2016—a time when they appeared on almost every platform. Since then, everyone from WhatsApp to Samsung to Twitter has moved to water pistols. It was Apple that first made the switch to a water pistol emoji two years ago, following pressure from campaigners such as New Yorkers Against Gun Violence. But companies tend to make the change in the interest of consistency and to avoid cross-platform confusion—sending a water pistol and have it appear as a gun isn't something people want. It’s not clear exactly when Microsoft’s change will come to Windows 10, though it could happen with the Redstone 4 update, which may take place next month. They should have kept that blunderbuss. Used Rugs and stewi0001 like this. Looks more like a flamethrower to me? Or perhaps an acid gun? Andromadus and seeprime like this. ...It's a picture. Are people really that overly-sensitive that they feel the need to replace a gun emoji with something less "triggering"? While they're at it, they should also replace their knife emojis with brightly coloured sticks. Jamlad and ShagnWagn like this. This will solve all gun violence issues in the world, give it a week and they'll all be squrting one another in Syria! Jamlad and Andromadus like this. Yes, the snowflake pro-gun-control crowd is that triggered and feel a cartoon gun was too threatening. True story. Jamlad, Andromadus and seeprime like this. And what if I'm talking about going hunting? Or airsoft? Those use realistic guns, not freaking water pistols. For crying out loud. "I'm an atheist, get rid of the devil emoji because he's not real and it offends me." Seems stupid, right? Do we get rid of the globe emoji so we don't offend flat-Earthers? Some people are homeless, shall we get rid of the house emoji? This crap is just getting out of hand. You have the right to be offended. You also have the right to accept that other people don't get offended by the same things, and that society needs to cater to the majority.